THIS IS A GOOD ONE MAN!!! We’re feeling good too! Sparks went for a 20 min walk to start and Graig is down in weight! We’re also complaining about Batman’s eyebrows, getting maced, and dance floor fights. Not to bury the lead here, but we’re mainly doing this to remind you to COME TO OUR LIVE SHOW!!! Feb 8th at 8p at the PT’s on Durango and Flamingo (it’s linked here if you need the directions), so come on out to the FREE SHOWWWWWWWW! Bring folks! DRINK! LAUGH!! SHARE THIS PODCAST! Tell a friend you enjoyed it and give us a rating and review here! 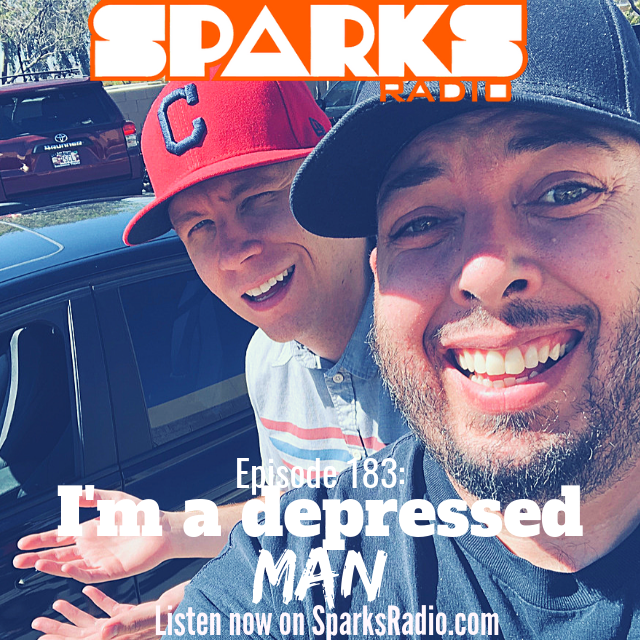 Thanks for checking out #175 of the Sparks Radio Podcast! GOOD GOD -IT’S HAPPENING! Another LIVE episode of the Sparks Radio #Podcast is going down at PT’s on Feb 8th at 8pm!